Everton and Bury wore their new kits although Bury played in their away kit. 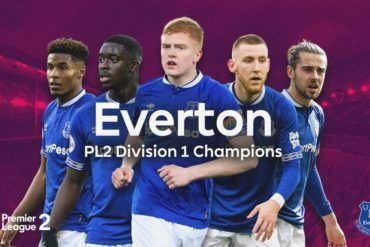 Although there were no new faces in the Everton line up, all credit to David Moyes for sending a very strong Everton side to Gigg Lane which has been a regular fixture in pre season over recent years. Evertonians were pleased to see Marouane Fellaini back in an Everton shirt after missing the latter part of last season through injury. 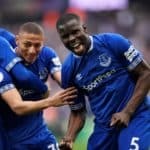 Everton kicked off attacking the East Stand and opting to play a 4-1-2-1-2 formation with Yakubu back from his loan spell with Leicester City leading the attack with Jermaine Beckford. 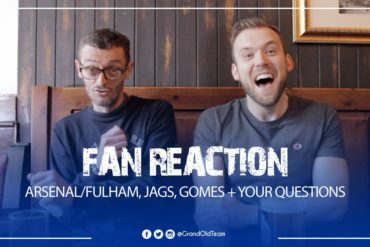 Everton seemed to get a strong hold of the game in the early stages and on 9 minutes Jermaine Beckford went down outside the box to win a free kick which Arteta took and went just over the bar. Magaye Gueye looked lively early on and starting his second season with the toffees was out to impress and he went on a run down the right hand side to play a delightful ball to Arteta to chest down but the hosts cleared any danger Everton threatened. On 14 minutes Osman played Yakubu through and the mass of Evertonians sat in the South stand sensed a goal but Belford in the Bury goal seemed to get a touch to give Everton a corner. Heitinga couldn´t get to the ball at the far post from a deep corner from Arteta but the visitors still posed a threat and the away fans could sense a goal. Bury never looked to trouble the visitors although David Worrall attacked down the left only for Seamus Coleman to thwart him every time. There was a bit of a sigh on 21 minutes when Distin tamely headed a ball back to Mucha with very little pace on the ball with a Bury player closing in. Bury were grateful for anything they could carve out and always looked good going forward and on one occasion Skarz went off on a run down the left to play a ball inside to the lively Schumacher to hit first time but Mucha was just an onlooker as it went wide right of the frame. Shumacher again on the half hour was unlucky with an effort but the host were limited. On 31 minutes ex Everton youth player Mark Hughes was the culprit as he carelessly lost the ball to Gueye who went for goal and Belford made a good stop from the effort but kindly the ball fell back into Gueye´s path to hit home and it was a good reward for his first half display. Everton were now looking comfortable but were caught short on 35 minutes with a right hand side attack from the hosts but seemed to look in a mess at the back but soon recovered and well they did it too, to clear there lines. 5 minutes from the break and Mucha gathers a ball from a cross which Worrall delivers but the Slovakian was unchallenged, Ryan Lowe who netted on his last outing against Everton deserved better when a rare mistake by Osman let him in but just couldn´t finish . Osman made amends for his earlier error when he scored a very good goal created by an Arteta cross and put any hopes of Bury making a comeback impossible. To rub salt into the wounds of the Shakers Gueye scored his second and Everton´s 4th on the stroke of half time. There were some good performances in the first half with Coleman, Arteta and Gueye catching the eye. 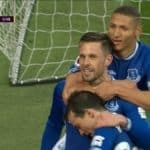 As ref Jon Moss blew the half time whistle john Heitinga went off to a round of applause from the away supporters and likewise responding with a clap of his hands raised above his head but the second half the Dutchman would not reappear as Moyes made 4 changes. 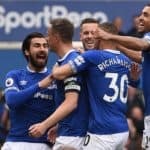 Heitinga, Fellaini ,Distin and Arteta were all casualties at half time being replaced by Baines, Bilyaletdinov, Jagielka and Anichebe respectively. Jags went into the middle of the defence and Baines went into his usual left back berth as Neville went to join Jagielka. Yakubu was played through two minutes into the 2nd half by Bilyaletdinov only to waste a chance and should have done better but converted the ball which would have been more suited to an effort in Rugby league in an up and under. Baines showed signs why he is an England International with some very strong runs and the home defence found it very difficult to prevent Baines crossing the ball over. 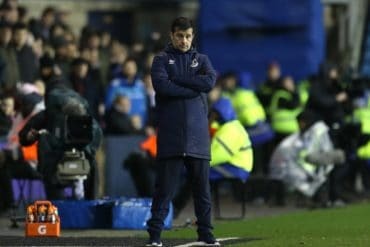 Everton were going through the motions as the second half wore on and the game was all but over, Bilyaletdinov had a good effort with the move started by Baines as the two linked up well together. Again the Russian showed signs why Everton paid £9million for him when the ball was headed into Beckford´s path who rounded the keeper and from a very tight angle failed to convert only for Jon Moss to have already blown his whistle for offside. On 59 minutes Schumacher converted a free kick just outside the box to give Mucha no chance when Neville gave away a free kick , the goal was worthy of the admission money which got a cheer from the home fans and was greeted with warm applause from the travelling blues. Two minutes later the lively Bilyaletdinov played a long pass to Jagielka as Everton looked to set up another threat but there was confidence in the visitors play which was nice to see and appreciated too. On 63 Jagielka again played another long hit pass to Beckford who failed to coveret only to be foiled with a brave and good block from Belford in the Bury goal. 2 minutes later Beckford pulled up and was quickly taken off but for some reason was not replaced as Everton saw the remainder of the game with 10 men, Cahill was the unused sub. Mucha again saved well with 15 minutes left as the hosts were doing all they could to make the scoreline a respectful one but another goal was unlikely to come and even 5 minutes remained on the clock when Phil Picken fancied a shot but the game was to late to rescue anything for the home side. An Everton fan ran onto the pitch only to throw himself Klinnsman like into the Bury goal to be greeted with cheers from the Everton fans.